Nature presents unparalleled bounty, so why not go back to basics and serve an organic holiday feast? Organics is the fastest-growing portion of the agriculture industry, growing from about $1 billion in 1990 to more than $35 billion today. USDA’s National Institute of Food and Agriculture (NIFA) has supported organic producers with more than $22 million since 2008 by funding research and extension projects on high-priority issues. 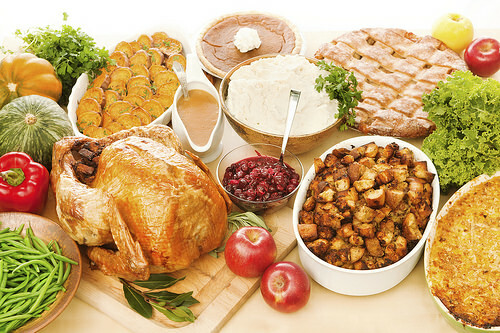 Those projects have helped make delicious organic products available to you for a healthful, organic holiday menu. Examples of NIFA support can found all around the dinner table, including the centerpiece for many: the roasting hen. NIFA provided a grant of $1.2 million to researchers from the Agricultural Research Service in Fayetteville, Arkansas, who have been working to ensure your holiday bird was healthy and is safe for you to eat. In addition, NIFA granted nearly $900,000 to researchers at Ohio State University who are finding more efficient ways for organic producers to raise their chickens. Milk and its products are wholesome in their own right, but they are also ingredients to many other dishes, from dips to casseroles, soups, and desserts. NIFA’s support of the organic dairy industry includes a $2.8 million grant to researchers from the University of New Hampshire to enhance the nutritional quality of milk, evaluate feed supplements, and provide training to organic dairy farmers in a 5-state region. Other menu items that represent NIFA’s commitment to organic agriculture include more than $9.2 million to support various projects with leafy green vegetables, carrots, cucumbers, and tomatoes; $2.9 million to support organic blueberries and blackberries; $1.3 million for wheat projects; and more than $500,000 each for apples, potatoes, and pecans. Finding ingredients at the store should not be too difficult, since most producers of organic products proudly display that on their labels – but, there are different levels of “organic-ness” and it’s important that consumers understand what the represent. 100% Organic – All ingredients, include processing aids, must be certified organic. May display the USDA organic seal. Organic – All ingredients must be certified organic, except where listed on the National List of Allowed and Prohibited Substances, and those ingredients are limited to a combined 5 percent of non-organic content. May display the USDA organic seal. “Made With” Organic – At least 70 percent of the product must be certified organic. These products may NOT display the USDA organic seal or represent the finished product as organic. Specific Organic Ingredients – Multi-ingredient products with less than 70 percent certified organic, but provide a list of its organic ingredients and their amounts. These products may NOT display the USDA organic seal or the word “organic” on the label’s principle display panel. Why not celebrate nature’s bounty by including certified organic produce, meats, beverages, and grains in your holiday festivities? Through federal funding and leadership for research, education, and extension programs, NIFA focuses on investing in science and solving critical issues impacting people’s daily lives and the nation’s future. For more information, visit www.nifa.usda.gov.